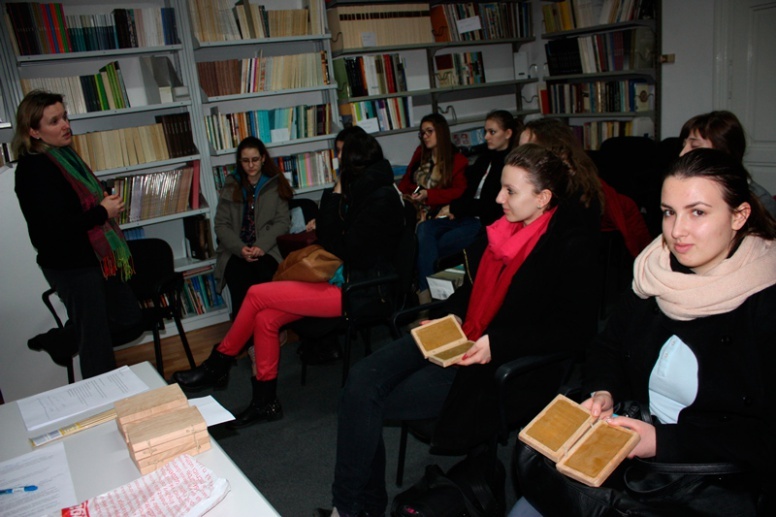 On Thursday, 20th February 2014, at 2 pm, a preparatory workshop for the science popularization project took place in the Archives. This time, the topic was “Roman school”. The project is jointly organized by the Institute of Archaeology, Women’s Gymnasium and the Archaeological Museum in Zagreb.